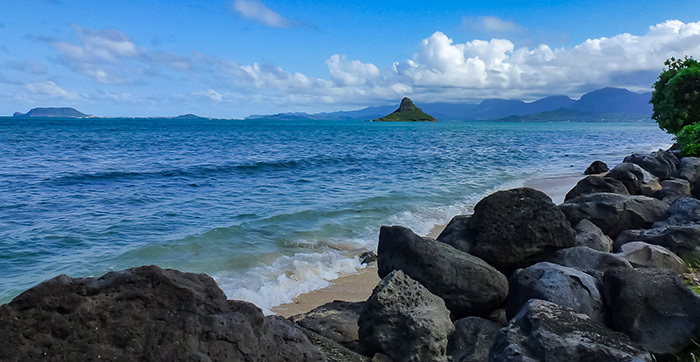 Chinaman’s Hat in Windward Oahu, a typical scene reflecting Hawaii’s natural beauty. With millions traveling to Hawaii, it is a wonder that its forests still flourish and beaches remain clean. However, there is an on-going battle to protect Hawaii’s natural beauty. Despite its stunning beauty, Hawaii is a very sensitive and fragile ecological state. Much of its endemic life developed in isolation. As a result, many native Hawaiian species are highly vulnerable to outside influences. Because of this, Hawaii has lost more native species than any other place on earth. However, there is an on-going effort to protect the natural resources of the islands. Here are some helpful ways you can minimize your impact on Aloha State’s fragile environment. So whenever you arrive in the State, please do your part in preserving Hawaii’s natural beauty. The intentional and unintentional introduction of non-native species into Hawaii have had irreversible negative consequences. This includes the extinction of many native species, such as birds, insects and plants. Visitors can do their part by not bringing in any plants and animals into the state without advanced approval. This is why you have to declare such items before your arrival into the State. Most visitors do not realize this. But this is probably one of the most important things you can do to protect Hawaii’s natural beauty. Whenever you venture for a hike or stroll, stay within marked areas to minimize damage to the forest or seashore. Avoid trekking on any plants and keep your distance from marine mammals and birds you may encounter. What might seem harmless could prove damaging to an endangered species or plant. Plus, it’s illegal to approach or harass endangered marine mammals and birds in Hawaii. Violators could face fines or imprisonment. 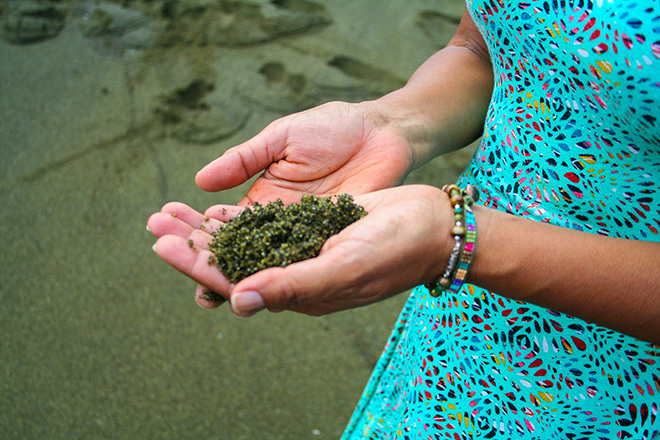 While you might find black sand, lava and shells interesting, do not ever remove or take them with you. Not only is their removal frowned upon, it is illegal and violators could incur serious fines. Moreover, many return such illegally obtained items because of their bad luck since taking them. So why take a chance? Hawaii has a recycling law which charges a deposit whenever buying types of bottle or plastic containers. The intent was to make sure people have incentives to recycle such items. While you may not be able to recover deposits, you can still do your part by placing such items in recycle bins. Hawaii, being a small island state, has limited land for waste disposal areas. So anything that both residents and tourists can do minimizes the need for new waste disposal sites within the State. Furthermore in many places in Hawaii, you can get fresh spring water directly from the tap. This makes it unnecessary to buy bottled water in plastic containers. This is particularly true on Oahu. So in such instances, just buy a reusable water container and just fill it from a faucet. Slathering on sunscreen is not something you generally give a second thought to. But the amount of sunscreen reside can actually affect water pollution levels. Sunscreen level have impacted the reefs in popular beaches, such as Hanauma Bay. While there is no definitive answer, it appears that the ingredient oxybenzone in sunscreens may be the problem. Instead of using oxybenzone, more companies are making sunscreens using mineral blockers, such as zinc-oxide, which minimizes harm to reefs. However, not all non-oxybenzone sunscreens may be safe, even oil-based natural products. One researcher found lavender, tea tree, jojoba and other oils, which can act as natural insecticides, may kill coral. So for now, it seems like sun screens using zinc oxide may be the type you should use.